Learn Italian in Rome during summer is a good idea if you want to learn Italian. Italian courses are available in most of the main cities of the country, but Rome is one of the best as for the quality of the lessons and for the activities that it offers. 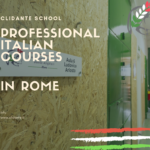 Clidante is considered one of the best Italian schools in Rome. 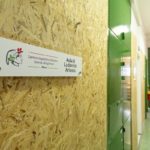 Why learn Italian in Rome during summer? 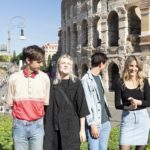 Maybe you are wondering why you should study Italian in Rome and also why you should learn Italian in Rome in summer. 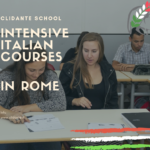 Actually Clidante offers a lot of courses throughout the year, so you can choose the period of the year you prefer to study the Italian language. Most people choose the summer as the perfect season to study Italian. This because during summer it is possible to immerse in Italian social life and to appreciate the culture of the country. You may do the same also in the other periods of the year, but in summer there are lots of activities you can do besides studying Italian. During the weeks of the Italian course in Rome, plenty of activities will be proposed to you.For example, you can see over the Colosseum, or you can visit the most renowned museums in Rome. These activities can help you not only to learn the language, but also to discover the culture of Italian people and to grasp their traditions. During your summer in Rome you can also alternate Italian classes with walks through the beautiful streets of the city, in order to find the best foreshortening to take some pictures to remember your experience and share it with your friends. Why choose Clidante to learn Italian in Rome during summer? 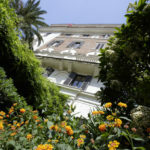 First of all, if you choose to go to Rome in summer you can check the special offers for Italian courses and try to find the best one for your needs. Remember that these offers change during the year, so check it often to be sure not to miss the most tempting offer! Secondly, Clidante offers you high quality Italian courses. If you really want to learn Italian, you deserve the best. The courses are organized according to the levels of the students, so that each one can improve the language skills. Are you wondering how to join Clidante’s family? Don’t worry, it is very simple! You just need to fill this form to enroll and to choose the course you prefer.